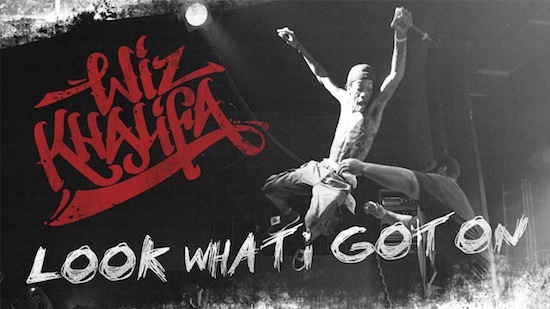 Wiz Khalifa - "Look What I Got On"
Wiz Khalifa decided to release a new tune called "Look What I Got On" as a celebratory moment for his new sneaker line with Converse. This track will also be on his upcoming record Blacc Hollywood, but it finds Wiz comfortable on a fresh Stargate beat. I'm usually not to into his music, but occasionally he releases a tune I just dig. This would be one of them. Stream below.